Degree in Economics. He was an economist in companies from several sectors such as textiles, metal mechanics, chemistry and banking. He was a member of the Fiscal Council of CGD, Chairman of the Fiscal Council of CIN, non-executive Director of Metro do Porto and Chairman of 32 Senses, SGPS. He was Mayor of Porto from 2002 to 2009, President of the Metropolitan Board of Porto and President of the Atlantic Axis of the Northwest Peninsular. He was distinguished by the President of the Portuguese Republic with the Grand Cross of the Order of the Infante D. Henrique, by His Holiness Pope Benedict XVI with the Grand Cross of the Order of St. Gregory the Great and by the President of the Federal Republic of Germany with the Official Cross of the Order of Merit. 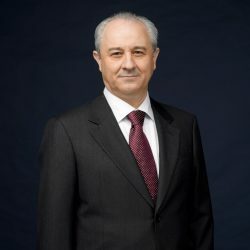 He is currently an independent and non-executive member of the Investment Committee of the Millennium Venture Capital Fund (FCR) and Vice-Chairman of the Board of the Certified Accountants – Member of the Representative Assembly of the Order of Economists and Chairman of the Bureau of his North Regional Section.